OSA patients present unique challenges in the peri-operative period. They routinely require more monitoring, oxygen therapy, unplanned ICU admissions, longer hospital stays, and have more adverse events than healthy counterparts. 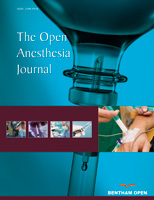 Some data suggest that perioperative CPAP use is associated with reduced morbidity and mortality of patients with OSA, and yet its application remains inconsistent. This review aims to summarize existing literature on the peri-operative use of CPAP, identify barriers to its implementation, and begin defining an algorithm for the practical application of peri-operative CPAP.